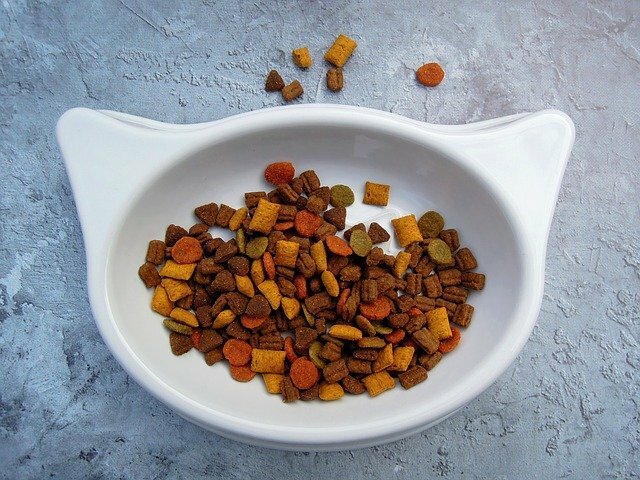 One of the most common questions new puppy and kitten owners ask during visits to the vet is whether they should feed their pet canned wet food or dry food from a bag. For dogs, I generally recommend dry food. As dogs tend to be bigger, dry food tends to be much more economical. A large dog would need several cans of wet food per day in order to get all its nutritional needs. By comparison, several cups of dry food will feed your dog just as well for a fraction of the cost. Additionally, the hard texture of kibble can sometimes (but not always) keep tartar to a minimum. There are even brands of prescription dog food, such as Hill’s T/D (available at CEDARCREST Animal Clinic), that are specially designed to engulf the whole tooth and remove tartar as the dog chews. But, even the best kibble has to touch the dog’s teeth to have an effect. This means that for those dogs that love to gobble their food whole, the tartar will keep building up no matter how much you spend on fancy foods. Giving Some Wet Food to Your Cat is Good! Canned food tends to have more health benefits in cats compared to dogs. This is mostly because of the extra water that canned food brings to a cat’s diet. As desert creatures, cats tend to stay in a state of mild dehydration. However, cats are also prone to urinary issues, such as feline idiopathic cystitis, which is painful and can lead to more serious problems. Wet food can help stave off these kinds of problems, and others such as chronic kidney disease and diabetes, by helping your cat stay hydrated. However, we don’t recommend feeding cats a completely wet diet. We generally recommend a combination of dry and canned food. The dry food gives something to snack on throughout the day. For wet food, we recommend a small amount once per day. Cats can be very particular and some simply refuse wet food. In those cases, dry food is acceptable. As to whether dry food helps keep cat teeth clean, it’s debatable. Some cats carefully chew each kibble, and others definitely swallow it whole (usually evident when examining vomit on your carpet!). If you do choose dry food, be sure your cat has plenty of fresh water. Every cat should have its own water bowl, and the water should be changed daily. Many cats love water fountains, as the running water is more appealing than water sitting in a dish. Water fountains are also more economical than keeping the bathroom sink running all day and night. There’s no single solution when it comes to pet food. While some pets love their dry food, others don’t care for it, or shouldn’t eat it for medical reasons. Our veterinarians can help you find a pet food that fits your budget and your pets’ nutritional needs. Contact us for questions or to set up an appointment! Can A Vaccine Give My Cat Cancer?